The next Android Lollipop is getting ready for Google's first generation Nexus 7 and other Nexus devices, suggests a leaked build. 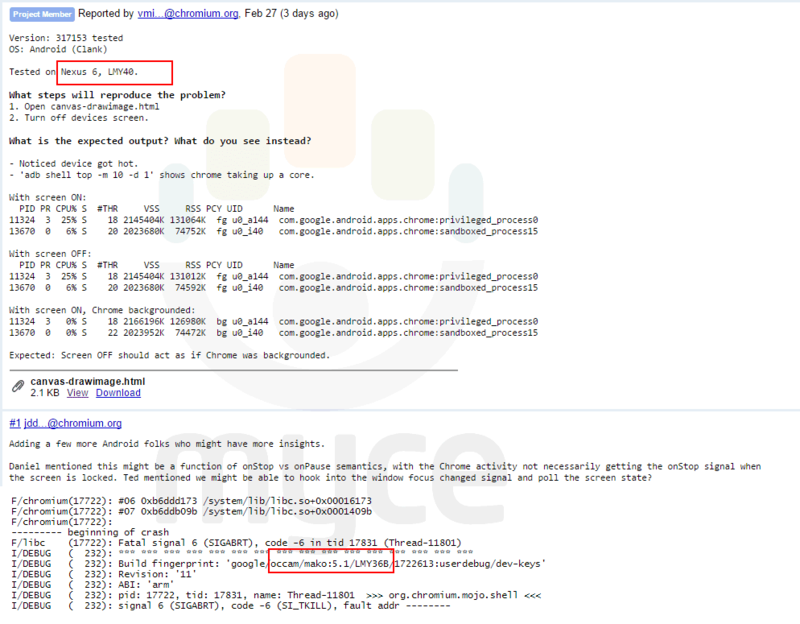 Myce has posted a screenshot from the Chromium Issue Tracker which mentions Nexus 7 version 1 or, 2012 model running Android 5.1 Lollipop software build LMY47D. The build LMY47D seems to be freshly baked and about two weeks old. The build date as identified from the LMY47D code hints it was made on 16 February. However, the date code might not be the exact date the build was made on, according to Google, and some minor changes could be added to the existing build re-using the same date code. Prior to this, Android 5.1 builds such as LMY40 on Nexus 6, LMY36B on Nexus 4 and LMY47E on Nexus 5 were spotted on the issue tracker site.